Dr. Christopher Price is a specialist plastic and reconstructive surgeon. He recently completed a Microsurgery/Reconstruction Fellowship at the University of Manitoba under the guidance of Dr Edward Buchel. The fellowship focussed on autologous breast reconstruction (DIEP, SIEA and TUG flaps), however all forms of complex micro-vascular reconstruction; as well as Aesthetic breast surgery; were covered. The fellowship is documented as being one of the most intense reconstructive microsurgical fellowships in North America. Dr Price has worked at various hospitals around the country and internationally. These include: Groote Schuur Hospital; Red Cross War Memorial Children’s Hospital; Zurich University Hospital, Switzerland; Winnipeg Health Sciences Centre, Canada; Life Kingsbury; and Mediclinic Constantiaberg. He is an editor for Plastic Surgery Education Network and reviews articles for the Plastic and Reconstructive Surgery Journal. He is a committee member of the Young Microsurgeons Group of the American Society of Reconstructive Microsurgery. He visited Emory University, Atlanta USA where he attended the annual breast symposium and learned techniques to benefit his patients during an observership. 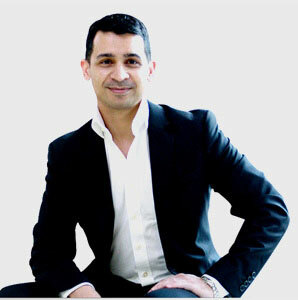 He is a full member of the Association of Plastic, Reconstructive and Aesthetic Surgeons of South Africa (APRASSA). As well as International Society of Aesthetic Surgery (ISAPS). During his training he has gained significant experience treating conditions of the breast, performed reconstructive microsurgery for breast, head and neck, hand and limb injuries and cancers. His special interest is breast reconstruction using autologous tissue, as well as aesthetic surgery of the breast. Special and unique skills gained during his fellowship include microsurgical reconstruction of the breast using autologous tissue or implants and the surgical treatment of lymphoedema. Dr. Price has an immense knowledge of aesthetic breast augmentation and other aesthetic breast procedures, such as reductions and lifting ( mastopexy). Aside from his excellent technical abilities, he is a very affable, kind and thoughtful surgeon. Dr. Geoffreys finished his medical training at the University of Cape town in 2001, after which he did the standard internship and community service years. Dr Geoffreys then ventured overseas and spent almost 2 years in Glasgow, Scotland at the Nuffield Hospital where he interest in plastic surgery started in earnest. Under the mentorship of some of the leading plastic surgeons in Scotland, and the greater UK, He was encouraged to follow his dream. 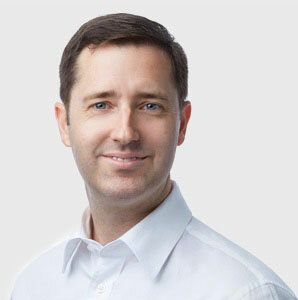 Dr Geoffreys arrived back in Cape town in 2006 when he did 3 years of general surgery training at Groote Schuur Hospital until the opportunity arose to move to the University of the Witwatersrand in Johannesburg, and start his specialist Plastic Surgery training. Dr Geoffreys trained at the Johannesburg General Hospital, Chris Hani Baragwanath Hospital, and Helen Joseph Hospital where he was exposed to wide ranging pathologies, including cosmetic procedures under the guidance of some of the most renowned private plastic surgeons in Johannesburg.